I am a yogin blessed by my guru. Today I sing a song of happiness. Today I sing a song of joy. 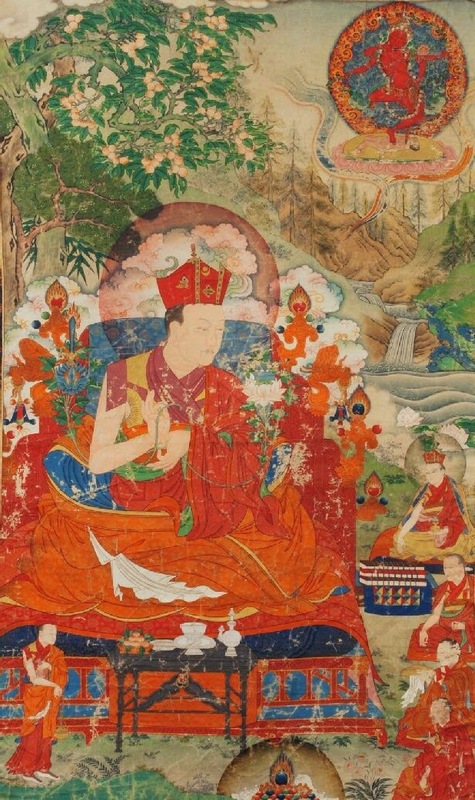 Lord father Marpa, grant your blessings. Wangchuk Dorje, grant your blessings. I wish to be a mendicant without a master above me. I wish to be a renunciant without a servant below me. The impermanence of life is like a butter lamp in the wind. Those who fixate on permanence are deeply confused. Themselves to the virtuous dharma. I am a holder of the Kagyu teachings. I keep the example of father Milarepa. How could there be malicious attacks of external demon gods? Toward whom can there be artificial devotion? How could there be meditation fabricated by the mind? What need is there of another homeland? There is no ultimate counsel. May all my brothers and companions keep this in mind.